Fall is an exciting time for students and teachers alike: Sharpened pencils, pristine classrooms; new books and opportunities for a new year. There is a mix of nervous anticipation and the excitement of potential in the air. Returning students are ready for the challenges of a new grade and year, and teachers envision just how far their students will come by the end of June. Fall is full of possibility. So, be sure to take advantage of this opportunity and set the stage for a year of student independence and success. Teachers, sometimes in our efforts to maintain a pristine classroom and establish efficiency and order, we overlook one of the fundamental goals we have for our students: developing independence. We manage the materials students will be using, we tell the students what to do and when to do it, and we solve their problems. This might help us keep the wheels on in September, and might be necessary as we introduce the rules of the classroom, but where does it leave us and our students a few months down the road? Are we finding ourselves frustrated with the lack of student independence and self-management come December? Here we are, still frantically scampering around the room passing out papers, reminding students of classroom procedures, and being the ones putting out fires! Let’s remember the opportunity that the fall provides: the opportunity to establish routines and expectations that support student independence. Setting up our students to both expect and succeed in the area of independence can do wonders for our classrooms, our students, and our own sanity! What can you do in the environment that sets the expectation of independence? Keep materials students will be using visible, accessible, and organized. Don’t hide everything in the closet or keep them out of students’ reach! If they’re using materials regularly, students should be able to access them independently (and taught how to do so!). Get assistants: Use classroom jobs/student monitors to help with repeated routines (passing out papers, retrieving table bins of tools). 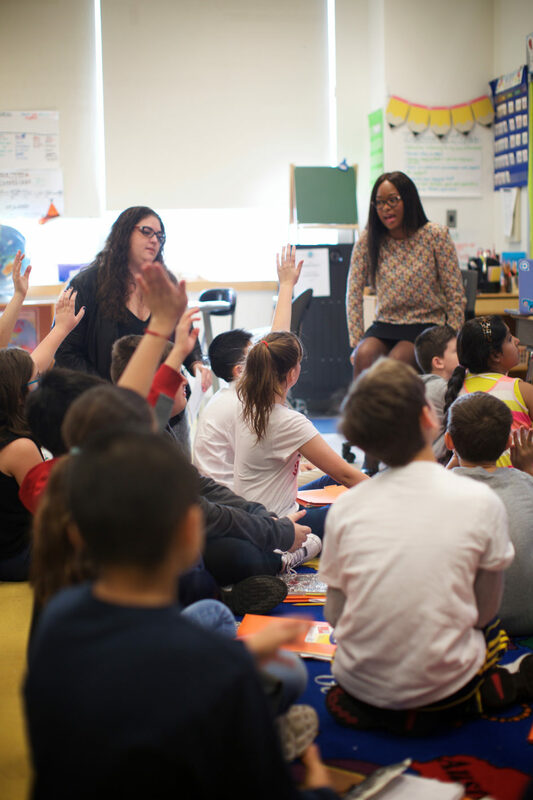 If you’re always the one handing out materials, you’re teaching your students to sit and wait rather then thinking about and gathering what they know that they and their classmates will need. 2) Stop repeating yourself! 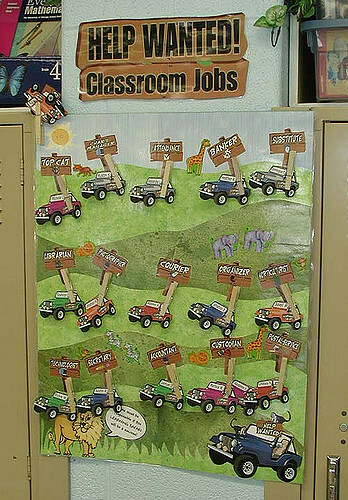 Create visuals for all classroom routines (post them and reference them early and often). Repeating routines, rules, expectations, and directions is ineffective and frustrating! 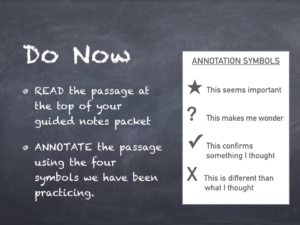 If verbal reminders are not sticking, create a concrete and permanent visual for students to reference independently. Have one spot in your room where you ALWAYS post the directions. Whether the directions are in words, pictures, or a list of steps, this will serve as a reference point for students to begin to use independently. (Short on space and materials? Laminate a large piece of paper/chart paper and use that for your directions visual). Create a “What do I do when I’m through?” chart, showing students their options if they finish work early (independent reading, help a classmate, work from their independent work folders/on their independent project, etc). Explicitly teach this routine and then, when students, ask, simply direct their attention to the chart. No words necessary! Options can help to increase active engagement, internal motivation, and self-reflection. Ask students to make a choice about which strategy they will practice today in math (array? algorithm? picture? ), and push them to articulate what it is about their strategy of choice that they feel works best for them. Offer options for how they want to capture their thinking in social studies (graphic organizer? post-its? voice notes?). Ask if there are any benefits/draw-backs of the method that they chose. Would they chose that same method again next time? Have students decide how they want to handle situations where they feel that they’re stuck and need help. Will they ask a classmate? Try to skip the part they’re on and tackle another part of the assignment? 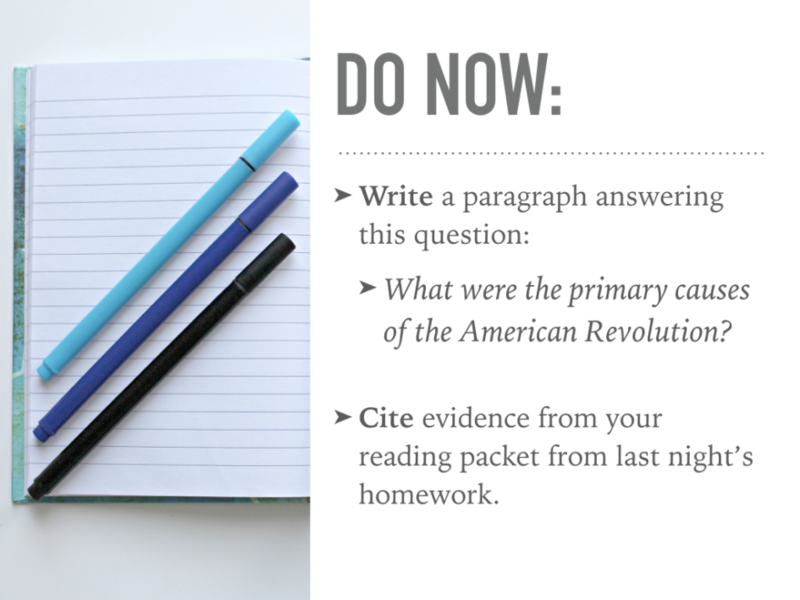 Review their notes? Sign up for a conference time with the teacher? Take a quick break to calm down and regroup? 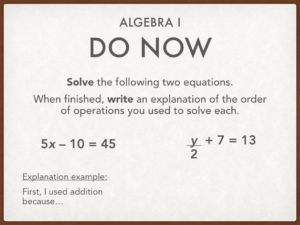 Is there a way that your students can let you know which option they feel works for them that you can expect to see? When we always tell students what to do, there’s little thinking they have to do for themselves. Rather than reminding your student, “You need to get out your math reference book,” make a comment: “I notice that your table-mates have a book on their desks.” This encourages your student to take the extra steps of noticing what their peers are doing, assessing what they themselves might not be doing, and problem-solving for themselves. It’s a small shift in language, but a big step in terms of encouraging students’ active participation in their learning. 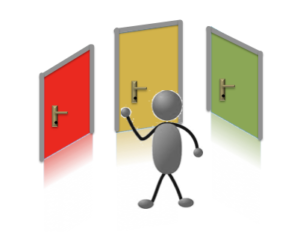 Use open-ended questioning when giving individual formative feedback: “I wonder what would happen if you…?” Or “What if you considered…?” For more information about formative feedback, see these 10 Tips for Formative Feedback and read about the Power of Formative Feedback. Stop and take the time to help students think about their own thinking and consider what they might do (maybe even with more independence) in the future! Give students the time and the supports to reflect independently on their work and progress. A routine for exit slips can be great for this, but perhaps instead of offering only one type of exit slip, students choose what type of reflection works best for them: written reflection? Picture? Bulleted list? Reflection partner? And can these slips be referenced at the following lesson so students can be set up to learn independently from past experiences? Building independence is an active process, and it is not something that will just happen for your classroom and for your students. Set some goals for yourself around building student independence. What do you want to see your students doing with more independence by the end of November? How about by the new year? Have a clear understanding of what this independence will look like in your classroom: what will be different from what you see today and how will you know your students are then ready for the next step in their independence? 10 more ways to build student independence in thinking! Students do better when they feel successful and confident. Catching them off guard or unprepared can make them feel quite the opposite. So when posing questions to the class, allow students time to think about their answers without having to answer immediately. One way to do this is through priming. …and you can even add another “P” at the end: PRAISE.